The Internet of Things! The Internet of Everything! The Connected Enterprise! Big Data! Analytics! The Cloud, the Edge, the Fog! BINGO! 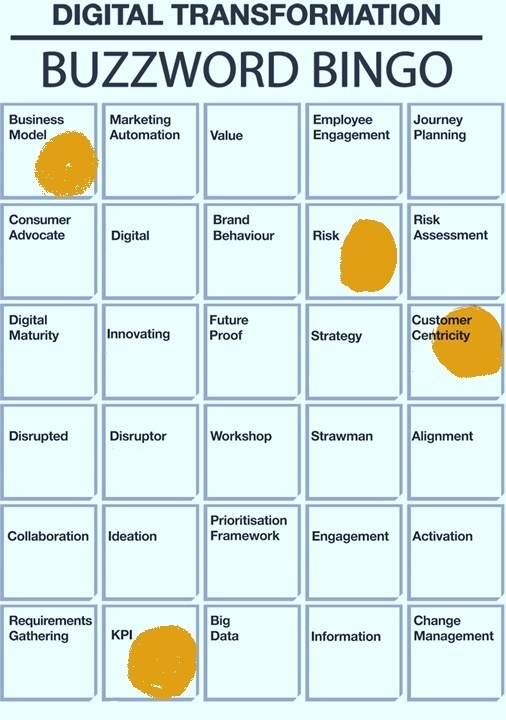 I’ve got buzzword bingo- what have I won? Well if you are like many engineers and manufacturers you’ve won an onslaught of hype, buzzwords, and a glimmer of hope that you can start evolving your operations with new technology to improve your business outcomes. As you start to consider that digital transformation, here are 5 reasons why you should consider QiO as part of that plan- because buzzwords alone aren’t going to solve your problems. QiO empowers clients to drive value-based innovation by removing the burdens of legacy software vendor requirements, dependency and thinking. Steadfast in our commitment to the success of our clients, QiO does not lock companies into perpetual software licenses, embed immovable consulting teams, or monetise our client’s customer database. Simply, our clients own their data, customers, and innovation… the way it should be. See our Chairman Rick Haythornthwaite expand on these ideas in a recent interview with SkyNews. QiO Foresight IIoT Platform is built from the ground up by industrial engineers for industrial engineers to dramatically improve operational efficiency, productivity, and safety. Applications are infused with artificial intelligence, provide smart automated workflows for team collaboration and scale across your production and supply chain. Ingredients matter. QiO Foresight IIoT enables industrial and manufacturing teams to problem-solve, experiment and redefine production assumptions in real-time. The platform is built to securely accommodate any data, any asset, any source, at any scale, and on any cloud – edge, private, hybrid or public. Your problems don’t live in silos, your applications shouldn’t either. See how Rolls-Royce is using QiO to improve their outcomes. QiO is the only company providing industrial engineers with a self-learning digital twin, PARCS® Profile, that is not limited by static slices of point-in-time views and becomes smarter with each deployed Foresight Suite® application. The profile uses design, manufacturing and operations data to create a single lexicon defined by five real-world factors – Performance, Availability, Reliability, Capacity and Serviceability. To further secure data and provide traceability across the supply chain, each profile is encapsulated with a unique blockchain key. Fast-track your digital program. Digital progress usually requires a shift in organisational inertia to foster an Industry 4.0 culture. Having an experienced industrial partner who can aid in framing ambitions, navigating challenges and providing purpose-built tools is a must have on this journey. No more time and money wasted to procure and install compute, network and storage infrastructure or manage resource-intensive vendor contracts. It’s time to demand more. These are just a few of the numerous reasons why you should make QiO your partner for your digital transformation. If you’d like to get started on your digital transformation journey try Foresight Performance® risk-free.